Wedgy’s prides itself on having speedy delivery service! We always try to get your order to you in the least amount of time possible! We set our delivery areas to about a 4 to 6 mile radius around our stores, trying to keep about a 15 minute maximum drive time to ensure great service! Usually your order should arrive in about 30 minutes. 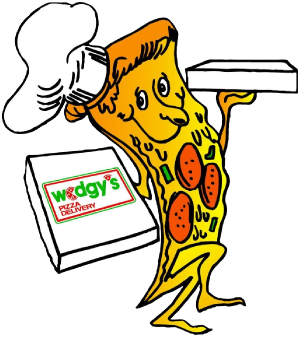 Picking up food at Wedgy’s is fast and convenient! Many times we can have your pizza ready in less than 10 minutes. Hot subs are ready in about the same amount of time, but we can make a cold sub in just a couple of minutes. We always strive to get ’em ready quick, because we know that you have better things to do than wait on your food. Call ahead and we will have your order ready when you get here!